Commercial Driving Jobs & CDL Driving Jobs Baton Rouge | Platinum Drivers Inc. 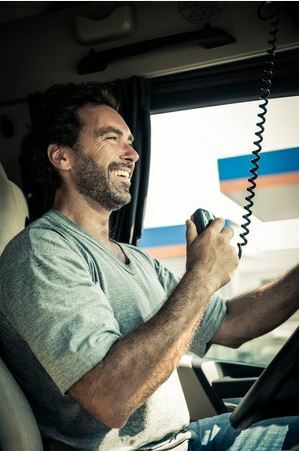 Platinum Drivers is the connection between commercial truck drivers and shipping companies looking for new and temporary employees. Platinum Drivers maintains an extensive database of CDL jobs and commercial driving positions from premier shipping and transportation companies in Baton Rouge and other areas in Louisiana. By pairing qualified commercial truck drivers with local CDL jobs, companies can bring in the labor that they need to fill their shipping quotas and truck drivers can find the work that they need to build their career and plan for the future. At Platinum Drivers, their staff makes it easy to find regional truck driving jobs, including flatbed driving, dry van hauls, delivery driver assignments and more in your area, while also providing companies with secure, efficient staffing services. Companies that need drivers with a class A or class B license, experienced line haul truckers, OTR drivers, P&D operators or yard drivers can find the candidates that they need through Platinum Drivers. Drivers who hold proper licenses and endorsements and are looking for work in their area use Platinum Drivers to stay on track and find the opportunities they are looking for. Platinum Drivers works with drivers nationwide, connecting experienced commercial truck drivers with shipping and transportation companies that need qualified workers for their vacant positions. The amount of shipping needed each year or each quarter can be difficult to estimate, and many companies need flexibility in their workforce. When shipping requirements exceed the staff on hand, businesses across the nation turn to Platinum Drivers to fill the labor shortage and get the drivers that they need to stay on schedule. This allows companies to maintain their flexibility and reduce labor costs while still maintaining the staff that they need. Many companies require more drivers during busy times, while other companies that are quickly growing need drivers to fill their workforce as they are expanding. Platinum Drivers forges lifelong relationships with both drivers and clients, helping businesses and drivers alike fill their job needs. Platinum Drivers takes care of entire searching, reviewing, interviewing and vetting process involved in hiring qualified drivers. All endorsements and licenses are kept on file, ensuring that all drivers selected are safe and reliable. Platinum Drivers provides an easy, streamlined, safe and efficient service platform for companies looking to fill their vacancies fast. Drivers know that the shipping industry is competitive and work can often be irregular, making it difficult to make plans for the future. Certain seasons, months and even years are busier than others; there are times when you have too much work and there are other times when work seems scarce. Platinum Drivers provides a more reliable work schedule by regularly matching you to jobs that are in your area. You do not have to move or relocate to find the work that you are looking for. You also don’t have to sort through countless jobs posts, websites, temp companies and other resources to find your next job. Platinum Drivers matches you with the companies that are looking for drivers immediately and gives you regular updates on what is available for you. When you have finished a job, Platinum Drivers will match you with another assignment, keeping you behind the wheel and earning a paycheck. Whether you have already forged a successful career in shipping and transportation and you are looking for more regular work in the Baton Rouge region, or you are a new truck driver looking to build your career on a local and regional level, Platinum Drivers is your source for commercial trucking jobs. Companies in your area are looking for reliable, qualified candidates for many local CDL jobs right now. Platinum Drivers brings these opportunities to you, eliminating the time-consuming search and the long application process. You simply select the jobs that you want and start driving. Platinum Drivers works exclusively with trucking and transportation companies, providing an exclusive database of companies and drivers to connect candidates with careers they are looking for. As experts in shipping and trucking, Platinum Drivers can direct hauling companies to candidates who hold the proper licenses and endorsements for any job, and direct jobseekers to the companies that are looking for candidates with their skillset. Truck drivers can then maximize their skills and get the most out of their work, while companies can fill open positions more quickly. If you are looking for candidates to fill an immediate commercial driving job, or you will require more drivers soon, contact Platinum Drivers today to learn more and start getting qualified commercial drivers when you need them. If you are a truck driver looking for regular work and a robust schedule of assignments, fill out an online application to sign up with Platinum Drivers today.